Ellis Patents Phoenix fire resistant cable cleats and cable clamps are manufactured in type 316L stainless steel for the safe and efficient restraint, support and clamping of FP fire protection and FR resistant cables. 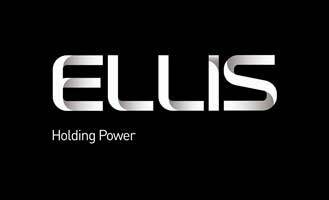 Ellis Patents Phoenix cable cleats are recommended to clamp and restrain BS7846 (F120) fire resistant armoured power cables; this includes the cable cleating and clamping of Prysmian FP400, Prysmian FP600, Prysmian FP600S, Draka Firetuf Powerplus cables and AEI Firetec Power. 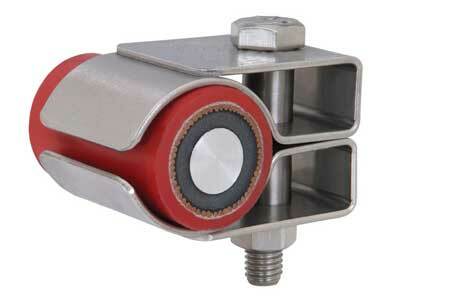 Ellis Patents Phoenix cable cleats withstand a maximum short circuit test level of 60kA with 600mm cleat spacings. To prove their fire resistance these Ellis Patents Phoenix cable cleats were used to secure a fire rated cable during a series of tests in accordance with BS 5839-1:2002, Section 26.2d. To prove the fire resistance of Ellis Patents Phoenix stainless steel cable cleats they were used to secure a fire rated cable during a series of cable cleat tests in accordance with BS 8491: 2008 and also BS 5839-1: 2002, Section 26.2d. 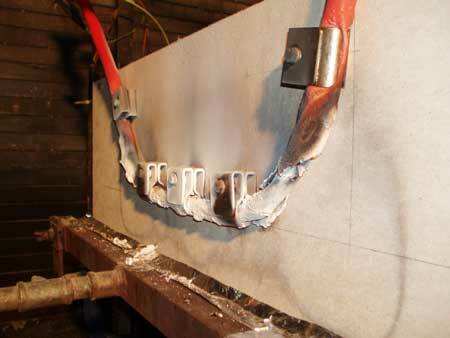 The cable cleats supported the cable appropriately during the fire test resulting in a successful outcome for the Phoenix range of Ellis Patents stainless steel cable cleats. The performance of the cable cleats was as expected given the physical characteristics of 316L stainless steel at elevated temperatures. A copy of the Test Report and Data sheet is available upon request from Thorne & Derrick. Ellis Patents Phoenix range of fire proof and fire resistant stainless steel cable cleats are designed specifically for installation with fire protection (FP) rated cables. Developed to provide a proven and cost-effective method of safe cable clamp restraint for any FP cable installation, the cable cleat range is manufactured in 316L stainless steel and is fire proof and corrosion resistant. LV power cables with XLPE insulation, such as BS5467 or BS6724, have limited electrical performance and survivability against sustained fire. Cables which need to remain operational throughout the fire need to be fire resistant but also to impact damage from falling fire debris of building structures and also resistant to the effects of water spray from fire sprinklers or from fire fighting activities. Fire resistant armoured (SWA) power cables provide essential low voltage electricity supply for fire fighting, life safety and property protection systems. Examples - i) Fire Fighting Lift Shafts (pressurisation, emergency lighting, lift power supplies), ii) Fire Suppression Systems (water mist, sprinkler pumps, hose reel), iii) Fire Escape Systems (smoke and fire barriers, smoke fans, smoke curtains and sliding doors). Elllis Patents fire resistant cable cleats are suitable for cable trough, tray, ladder or other installations requiring a safeguarded fire integrity cable installation. BASEC (British Approvals Service For Cables) stated in their November 2009 news update "it is important to remember that cable cleats and other cable mounting techniques also need to survive the fire, shock and water attack." 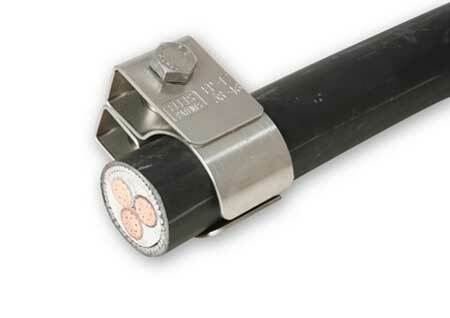 Ellis Patents Phoenix Cable Cleats are London Underground (LUL) Engineering Standard 1-085 A2 Approved. “To date there has been no agreed test for a cable cleat to be put through in order to rate its fire performance,” said Ellis Patents managing director, Richard Shaw. “Instead cast iron cable cleats, which have a melting point high enough to provide the necessary safety reassurances, have generally been used. The Ellis Patents Phoenix cable cleat fire resistance tests included exposure to fire, impact and water spray - all of which combined to ensure that the Ellis Patents Phoenix cable cleat range offers fire protection to the same level as the cables it will be installed to protect. “As with anyone bringing a new product to market Ellis Patents are delighted to be first off the mark, but I do feel that the fact we were faced with developing a new product without the guidance of an industry agreed testing procedure once again highlights the severe lack of understanding when it comes to the role cable cleats play in any cable installation,” added Richard Shaw. “In a standard short circuit situation, underspecified cable cleats will simply add to the shrapnel, therefore putting lives and expensive cable installations at unnecessary risk. Similarly, put underspecified cable cleats on a fire rated cable installation and any benefit such cabling may bring to a building is instantly lost." 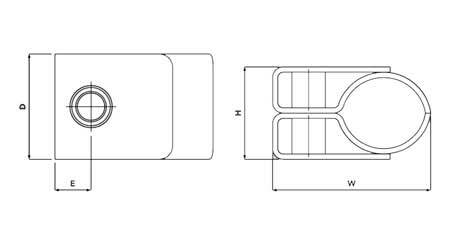 Ellis Patents Phoenix cable cleats made from 316L grade stainless steel are available in 11 sizes, ranging from 11 to 65mm cable diameters and feature single M10 bolt cleat fixing for fast and simple cable clamping to all types of cable containment systems, including cable cleat stacking applications. Further Video media is available to view via T&D's YouTube Playlist, Ellis Patents Cable Cleats, Cable Clamps & Hooks. This includes Cable Resistance to Fire with Impact (BS6387 Cat Z), Cable Resistance to Fire with Water (BS6387 Cat W) and Cable Resistance to Fire Alone (BS6387 Cat C).